There are several tools which allow you to unlock or flash Android phones. 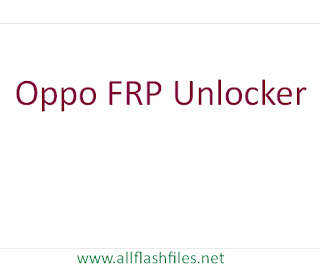 In this post, you can download latest FRP unlocker tool for your Oppo phone absolutely free. Unlock your phone's lock through enlisted Email Adress your telephone must be associated with Data association or WiFi association if telephone Not associated with the WiFi or Data Connection So this technique Not for you Follow the second one. Have you overlooked your phone design bolt or Phone Password so Don't have to Nervous Because today I will impart to you A most recent open example Tips that will assist you with unlocking all brand Android telephones including Samsung, Oppo, Motorola and then some. As of late, My companion calls me Hi, John I overlooked my Oppo Pattern Lock How to Unlock My oppo Phone I would prefer not to lose my own information, when he was extremely disturbed, I googled the catchphrase "Overlooked Pattern Lock." There are several reasons which take your phone on flashing process. If your phone's firmware has corrupted or outdated, you will need to flash it with its latest firmware. If you will flash your phone successfully, your phone will be restored in its original settings. You will need to take a backup of your data before flashing. You can safely recover it after successful flash. After many types of research I found There a considerable measure of articles identified with Forgot Pattern bolt, however, I found there one Helpful article, That gives me great Information along these lines, That time I chose I'll impart This Knowledge To Anyone who needs to Unlock his Phone. Now you can download the latest setup of Oppo FRP Unlocker by following links below.